After setting up your account, you just have to go out and track your activity. You can track your activity with Record in the Relive app or with another (connected) tracker app. You can track your activities with the Relive app. Go to Record and press START the moment you start your activity. 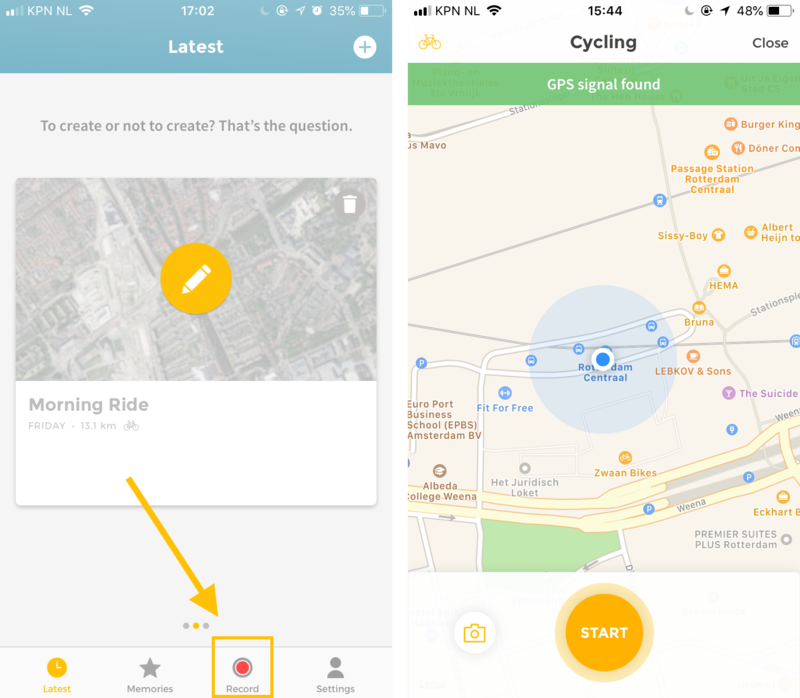 The app uses the GPS signal from your phone. When you're done, just press finish and you can create your activity. After connecting another tracker app with Relive (for example Strava, Garmin, etc. 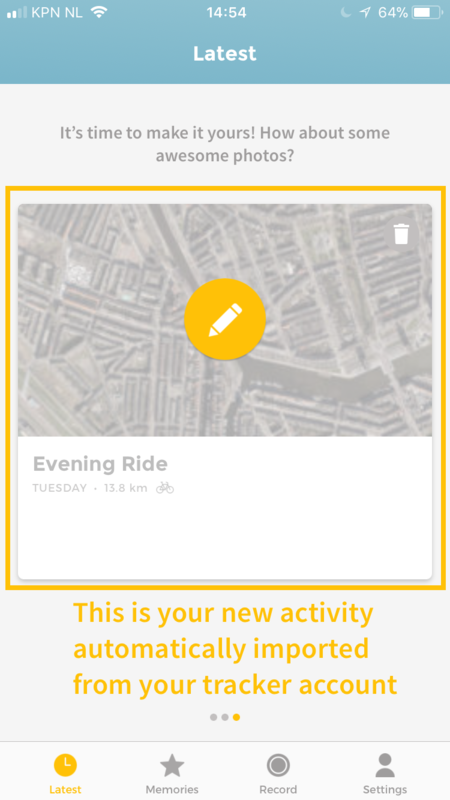 ), your new activities will appear in the Relive app (in Latest). You'll get a notification when it's there, ready to be created. Please note: activities marked as 'private' in your other tracker app will not end up in the Relive app - please make sure they're public.